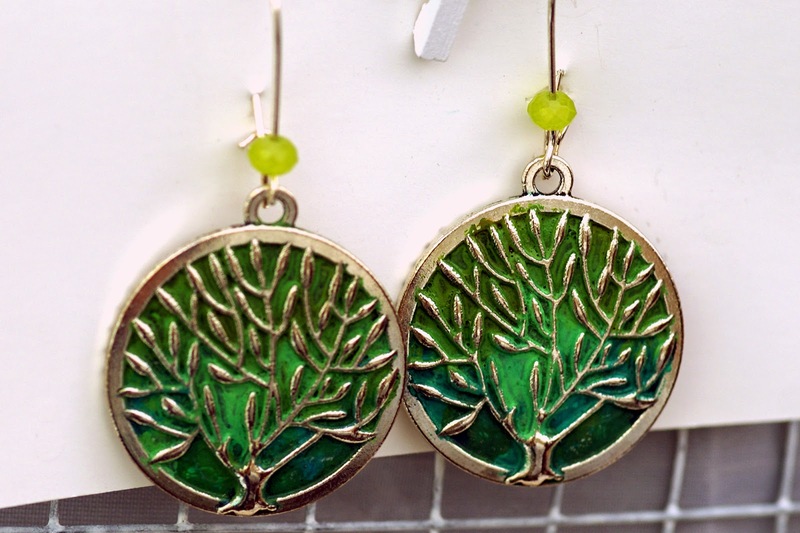 Jewelry Made Pretty by Vibrant, Vintage Looking Patinas. Technique from Nature, Style Inspired by Natural Beauty. Studying the work of others is a wonderful way to learn and eventually develop your own style, no matter your artistic specialty. 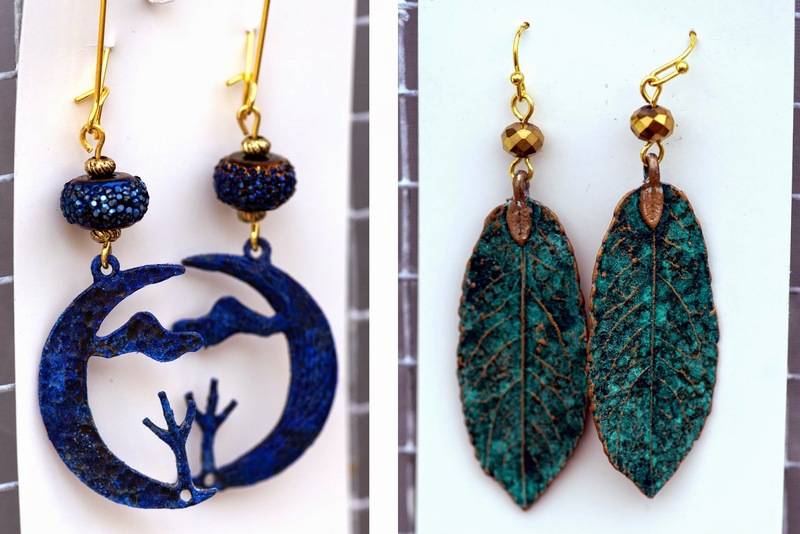 Add a fearless attitude and an eagerness to experiment, and you can end up with something one of a kind, much like Texas artist Kerri Lavery has done with her handmade jewelry. Thanks to a knack for collecting, Kerri has been immersed in the worlds of art and jewelry for a while, but she just recently unveiled her own line of truly unique pieces. 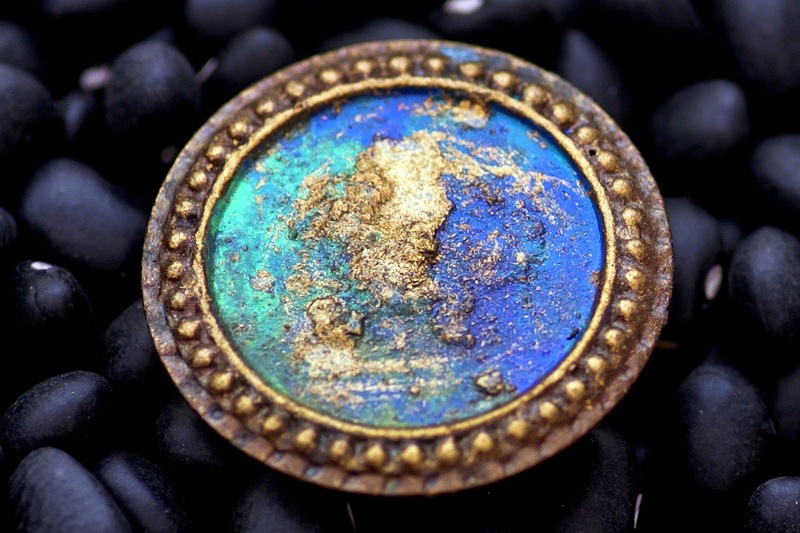 Her style of choice involves bright and richly hued patinas that create a vintage feel even though her pieces are new and like nothing I've seen. Patina is normally something that comes with time, but Kerri has mastered the art of aging her crafts on a quicker, more intentional schedule. 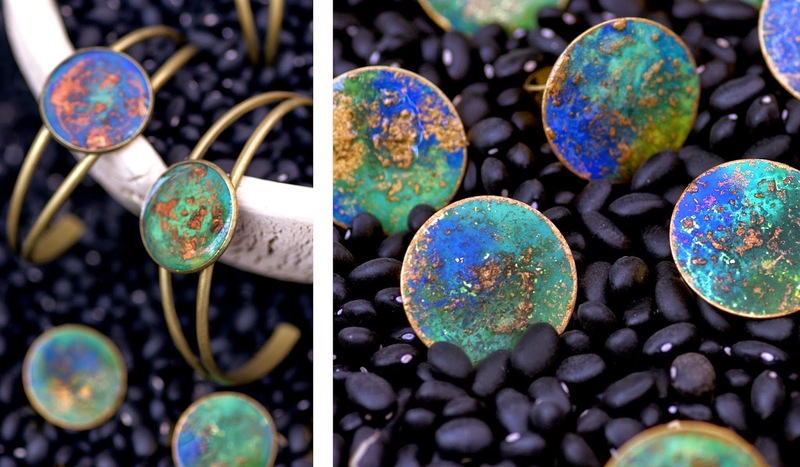 She works with a range of metals, including, but not limited to, brass, copper and bronze... "Anything that oxidizes!" she says. The great thing about applying Patinas and dye-oxides to metal is that you can layer them on until you're happy with the texture and hue. Make it subtle or striking, solid or speckled. Because this technique involves chemical reactions, each piece will naturally turn out differently, beautiful for its individuality, among other qualities. Kerri finds her inspiration in nature, drawing from colors of the ocean, sky and lush vegetation. Who wouldn't want to wear a pair of earrings reminiscent of the sunset or a pendant deep blue like the sea? Take a look at her earrings, necklaces and bracelets to see what they inspire in you!